Craftier Creations: Retiring List is here! 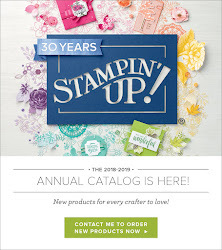 Well it's that time of the year when Stampin' Up puts out the retiring list and it's a long one. Now don't panic when you see all the ink pads on the retiring list. They are not all retiring. They have re- designed the ink pads. However Stampin' Up did do a new color revamp this year. 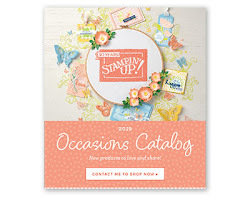 The Annual Catalog retiring list can be found here, and the Occasions Catalog list can be found here. Now onto the new colors! 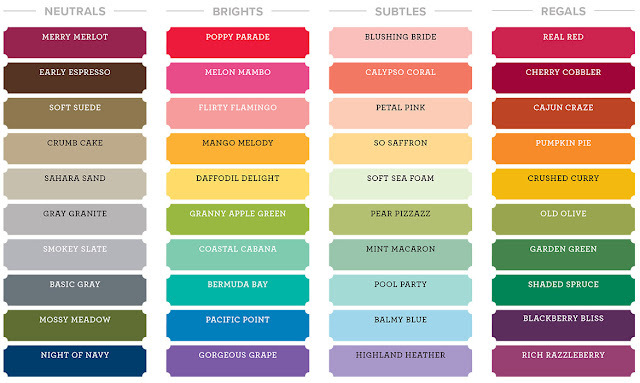 Besides the 2016-2018 In Colors here is a list of the colors that are going away. 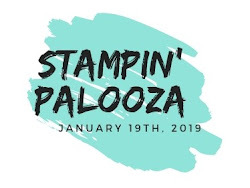 Stampin' Up also reorganized the colors. 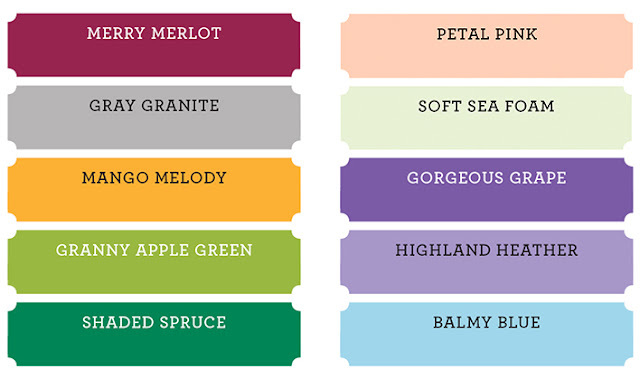 As you can see the took out Basic Black, Whisper White and Very Vanilla and put them in a group of their own. Along with the color changes, they redesigned the case. The case’s manufacturing mold was about to expire. So Stampin’ Up, had to decide if they wanted to order more of the same molds or try to improve the design. They chose to improve the design at the same time they did a color revamp. I know this is a lot of info today, so if you have any questions please let me know. Keep in mind if you see something on the retiring list don't wait too long. Some items go very quickly. Here is a hostess code for the month of April!